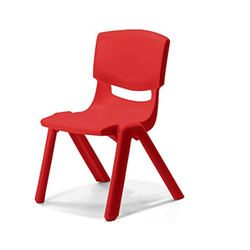 Our range of Kids Furniture Chairs is manufactured using quality raw material such as wood, mild steel and others. It is designed with attention and is tested on various quality parameters to ensure that they are completely flawless. 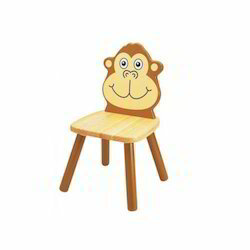 The Kids Wooden Chair is made of Teak Wooden Frame with designer back and seat made of laminate Board Wooden Kids Chair. Owing to the expertise of our team of experienced professionals, we are able to introduce an exclusive range of Kids Table Chair. The offered table chair is made using 18mm thick block board material to offer sturdiness to the furniture. In addition to this, we also ensure to develop the table chair adhering to industry quality standards so that safety and reliability can offer with furniture. To double ensure, our professionals opt for strict quality inspection made on corners, board and height. Apart from this, clients can get the chair table from us at industry leading rates. 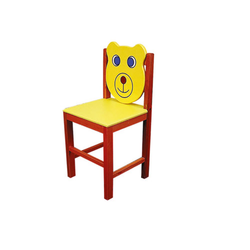 Since our commencement, our firm is engaged to introduce a premium quality array of Kids Fancy Chair. The offered is made of steam beach / rubber wood frame with seat and back made of 18mm board with lamination. 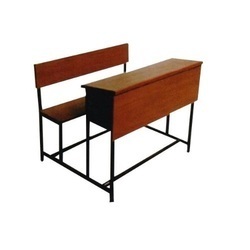 The chair is developed adhering to industry standards and quality norms. Safety, reliability and long working life are the features that attract parents and clients. This set has been quality tested on various parameters so that comfort is availed by the kids. Clients can get the chair from us in bulk at industry leading rates. 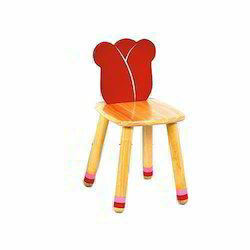 The Modern Kids Chairs is made of Teak Wooden Frame with designer back and seat made of laminate Board. 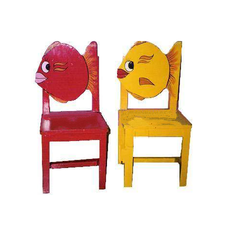 Our range of Colored Kids Chairs is offered in both wooden and mild steel finish at the most competitive prices in the industry and can be fabricated as per the requirements of the various clients. 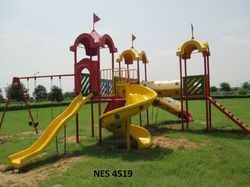 Trendy and comfortable, these Multi Play System pieces are renowned for their superior finish and durability. We are a trustworthy organization in the market, actively engrossed in offering a wide gamut of Multiplay System. 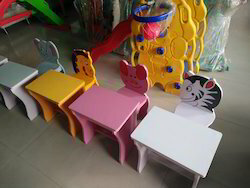 Driven by perfection, we are engaged in manufacturing and supplying a quality range of Kids Wooden Desk. Available in various specifications as well as in customized range, these desks are manufactured by using quality-tested material sourced from the vendors of repute. Also, our experts keep vigil on every stage, with an aim to manufacture flawless range of kids wooden desks. 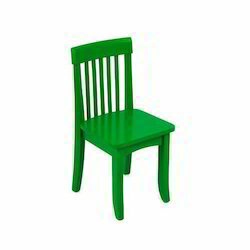 Looking for Kids Furniture Chairs ?